Despite paying the firm large sums of money for its PR counsel, the Russian Federation does not take Ketchum's advice, according to a former Omnicom Group employee. Despite paying the firm large sums of money for its PR counsel, the Russian Federation does not take Ketchum’s advice, according to a former Omnicom Group employee. Former journalist Angus Roxburgh, who worked at Omnicom PR unit g+ Europe from 2006 to 2009, told The Daily Beast that the agency has tried to improve Russia’s image for years, but President Vladimir Putin dismisses its advice. 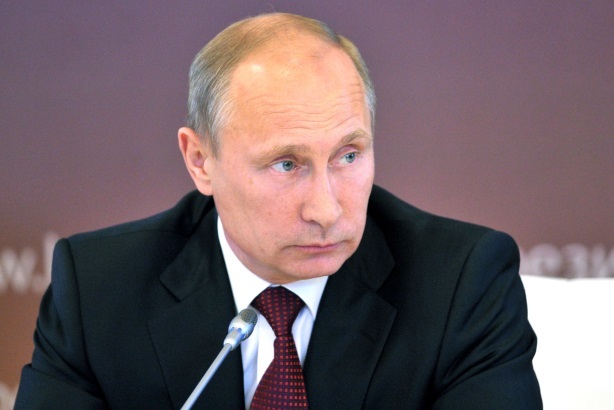 "[Putin] does his own PR," Roxburgh said to The Daily Beast. "I can honestly think of nothing that Ketchum has ever done that has actually improved Russia's image." He added that Ketchum’s work with Russia includes "providing press reviews, writing briefing notes for interviews and pressers, setting up foreign visits for ministers, and very occasionally getting an op-ed placed," as well as running the website ThinkRussia.com. Ketchum told PRWeek in a statement that responsibility for the European component of its Russian Federation work is subcontracted to g+ Europe. "In 2006, Roxburgh was hired by g+ to work on this engagement," the statement added. "He left their employment in 2009. He was not a Ketchum employee." When it comes to how the Russian media works, Roxburgh told The Daily Beast that Ketchum is powerless to affect it, saying it is "way, way, way, above even their inflated pay grade." For the last six months of 2013, Ketchum billed the Russian Federation nearly $1.6 million, according to the latest Foreign Agent Registration Act forms filed with the Justice Department. At the end of last year, Roxburgh said Russia wanted Ketchum to pay newspapers for positive articles, but the agency told the country that media relations in the West do not work that way, according to a report. Mary Dejevsky, chief editorial writer and a columnist at The Independent, said in a review of Roxburgh’s book, The Strongman: Vladimir Putin and the Struggle for Russia, that he "has written quite a conventional history of Russia over the past 12 years." The book includes insights from Roxburgh and his relationships over the years while he was a journalist, author, and PR professional, Dejevksy added. After Putin sent troops to the Crimean region of Ukraine last week to intervene in the country's political turmoil, Ketchum told PRWeek that the agency is continuing its work with the Russian Federation but not advising the country on foreign-policy matters. Tensions continued to rise between the US and Russia this week after Putin rejected a proposal from US Secretary of State John Kerry to help solve its dispute with Ukraine.